Party Fortune Uamou at KaijuBlue! 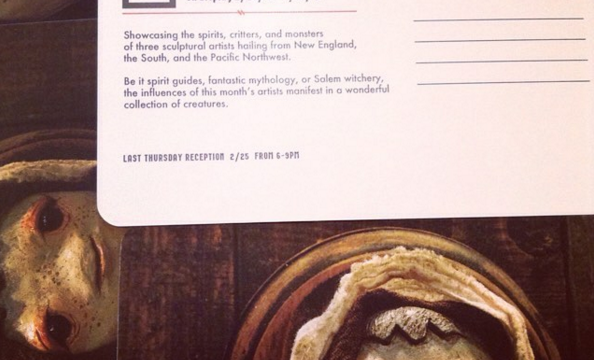 Screaming Sky Gallery’s Reverie Show Opens February 25th! Silver UltraUamou and UltraUamou pen at Uamou.com! Slumbering Totoro Custom Sets by GrayMako, Available Now! Jeremy Madl’s Black Friday Sale at madtoydesign.com – 50% off! Full Reveal of The Bots x Broke Piggy Hold Your Breath Vectors and other peeks! Hold Your Breath Reveals Part 3, Including Sergio Mancini and Leecifer! AOS Labbit Customs by Gray Mako at Broke Piggy for DCon! Broke Piggy’s Lo Tech Constructs Sketch Teasers by Madl & Leecifer! Broke Piggy Teases Lo-Tech Constructs Series with Some Big Artists! Calliope Stop Motion Film Kickstarter announced by Circus Posterus! The Bots & Broke Piggy Tease a Custom Series for DCon!! Uamou Releases Hand Painted Mummies for Halloween! myplasticheart presents Boy & Bear, a Solo Show by PodgyPanda! Garden Party by Tony Rabit at Rotofugi! Pieces From Stranger Factory’s Bewitching V Now Online! WuzOne Reveals Cookie Monster Custom Dunny!